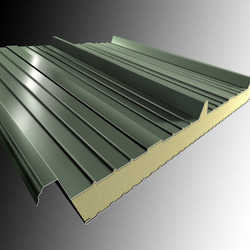 Our product range includes a wide range of faisal lite frp sheets, faisal lite turbo ventilator poly carbonate base, frs curved roofing sheet, frs roof decking sheets, frs standing seam sheet and frs wall panel. 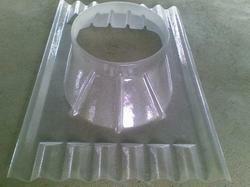 We are fabricating a wide range of machine made FAISAL LITE Sheets. 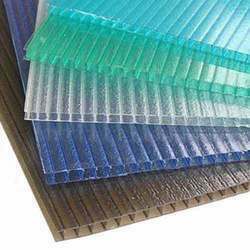 These fiber glass sheets are made of qualitative raw materials like plastic, fiber glass cloth resin and many others to ensure in them durable performance standards. We are pleased to introduce ourselves as the leading manufacturer of Wind Driven Industrial FAISAL SHINE Turbo Ventilator with matching FAISAL LITE Poly Carbonate Base plate, which enables the fixing & installation of turbo ventilator very convenient under various site conditions. Our FAISAL SHINE Turbo Ventilator and the matching FAISAL LITE Poly Carbonate base plate is technically designed to suit the various site conditions and provide maximum exhaust and rotation of air continuously, hence virtually providing pleasant and fresh air for healthy work environment. Our FAISAL SHINE turbo ventilator is so designed having maximum fan blade hence providing optimal exhaust and at the same time is protective towards rain and dust. 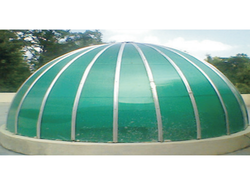 We bring forth for our clients a high quality range of FRS Curved Roofing Sheet. 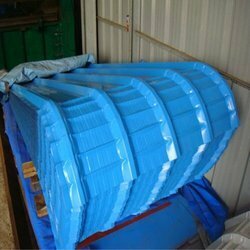 Offered roofing sheet is available to customers in different sizes & thickness as per the emerging requirements of the customers. 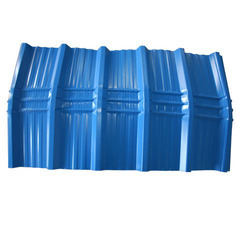 This roofing sheet is designed using outstanding quality material and modern techniques in tandem with set quality standards. 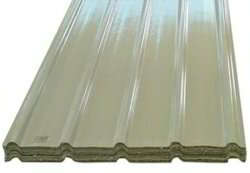 Customers can avail the offered roofing sheet from us at reasonable prices. 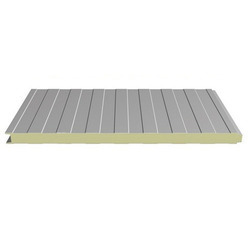 FRS Roof Decking Sheets support the roof elements by providing exceptional strength and strong structural platform. 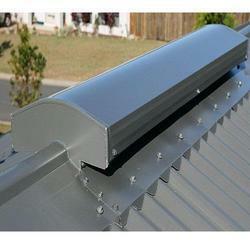 In addition to this, an effective spanning of the roofs can be greatly achieved by using these sheets for Roof Decking. With these FRS decking sheets a strong solid base can be provided in any situation without using purlins or framing underneath the roofing. By using perfect combination of Roofing Sheets and Roof Decking Sheets, the durability and strength of whole roof is considerably enhanced. 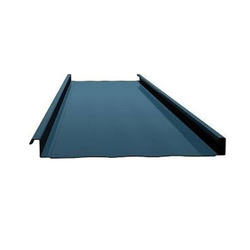 FRS Roof Decking Sheets are excellent materials to cover the roof and are capable to withstand various types of loads, therefore superior quality of raw materials are only used to design these sheets. Materials like steel, aluminium or the alloys are important base materials for a robust construction. For offering excellent insulation the metal sheets are sandwiched between insulating polymers like polyurethane and polystyrene. FRS Standing Sheet Self Supported conceal halter roofing system. FRS Standing Sheet offers a perfect system solution with limitless design potential, state of the art production technology, ultimate product quality, innovative material combination and harmonious integration of shape, colours and surfaces. FRS Standing Sheet is an advanced zip-up' standing seam system that creates a continuous weather tight roof. The side laps are zipped up' in conjunction with a unique halter system that is fixed directly to the supporting structure without penetrating the external weather sheet. This method of secret fixing creates a structurally sound roof construction that provides excellent resistance to wind uplift. Renowned for its outstanding aesthetic properties and performance characteristics, standing seam roofing systems offer the specifier contractor a cost-effective construction solution with numerous benefits. 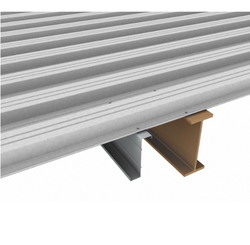 FRS Standing Seam can be manufactured on-site which allows roofs to be constructed using very long sheet lengths. This eliminates the need for any end laps and considerably increases the speed of construction. Offering the ultimate in design flexibility, Standing Seam is available in Aluminium, Galvanized, Galvalume and can be smooth, crimped or concave curved; tapered or wave formed. With potential changes to the Building Regulations / Technical Standards, Standing seam systems easily comply with the stringent performance standards proposed over the next few years. Fiber Base Dome driven, they are used worldwide because of their low capital cost, zero running cost, adaptability, high capacity per vent and overall reliability. By monitoring progressing market advancement and outlines, we are putting forth a phenomenal scope of FAISAL LITE Multiwall Sheet in the business with raised sturdiness. To finish individual necessities of our customers, offered items can be accessible in an assortment of modified structures and particulars. Furthermore, this product undergoes on various quality inspections with defined industrial parameters by best quality experts. Being one of the reputed organizations in the industry, we are actively involved in offering a beautiful range of FRS Polycarbonate Compact Sheet to our clients. These sheets are available in various alluring designs and optimum finishing following the precise demands and needs of our clients. Owing to its sturdy designs and excellent finish, these products are extensively demanded and appreciated by a huge numbers of clients. Our offered products can be availed from us in different textures and range. 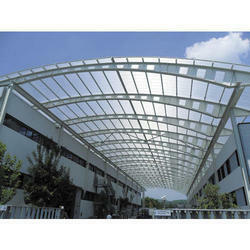 Our association is one of the main association included in offering FRS Polycarbonate Sheet. This scope of sheets is produced utilizing quality-affirmed crude material, thus, these are acknowledged for having solid safety against synthetic and hotness. Our sheets are generally accessible in different altered reach and details. Good Thermal insulation. Under the extensive array of our products, we have introduced FRS Ridge Sheet. Our professionals conduct manufacturing of these products following stringent quality protocols and for the reason these products are imparted with durability & dimensional accuracy. Having user-friendly properties and availed at reasonable rates, these products have become customers’ favorite. We are pleased to introduce ourselves as the leading manufacturer foam emerged as a material with FRS Ridge ventilators are ventilators that are installed at the peak of a roof, The ridge ventilators can be made either from 0.50mm or 0.60mm TCT Pre –painted galvalume material with AZ 150 coating, or Pre painted galvanized material with Z 120 coating or Bare Galvalume 0.47mm TCT with AZ 150 coating, with wire mash jali , uses this products making , as per the requirement of the customer. They can be used on industrial warehouses, industrial plants, factory sheds, Industrial building area.